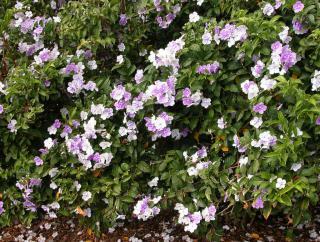 Brunfelsia, also called “Yesterday, Today, Tomorrow”, is a nice summer-blooming shrub. This amazing plant changes the colors of its flowers in three short days, shifting from violet to white. It also bears beautiful evergreen leafage. It is a good idea to plant in spring, preferably in a pot so that you may bring it indoors. Indeed, this shrub fears freezing, so you’ll have to set it up over the winter in a room where temperatures don’t drop below around 50°F (10°C). There’s no chance of growing it inside a house or apartment because the air is much too dry indoors. If you wish to reduce or reshape the shrub, wait for the blooming to end and cut the stems back by half. In order to increase the blooming, you may add rose tree fertilizer once a week during the blooming season. An annual repotting in spring is almost mandatory for all your Brunfelsia that are confined to pots. Unless you live in a tropical region where the winter weather is very mild, you’ll have to find a way to protect your shrub in winter. In fall, it is best to bring your brunfelsia inside, because it is vulnerable to the cold and would fare best in a well-lit spot where the temperature never drops below 50°F (10°C). Water as little as possible over the winter. It is important to water regularly, with lukewarm water. However, don’t water too much, but water regularly all summer long. It’s always better to water in the evening so that water isn’t lost through evaporation. 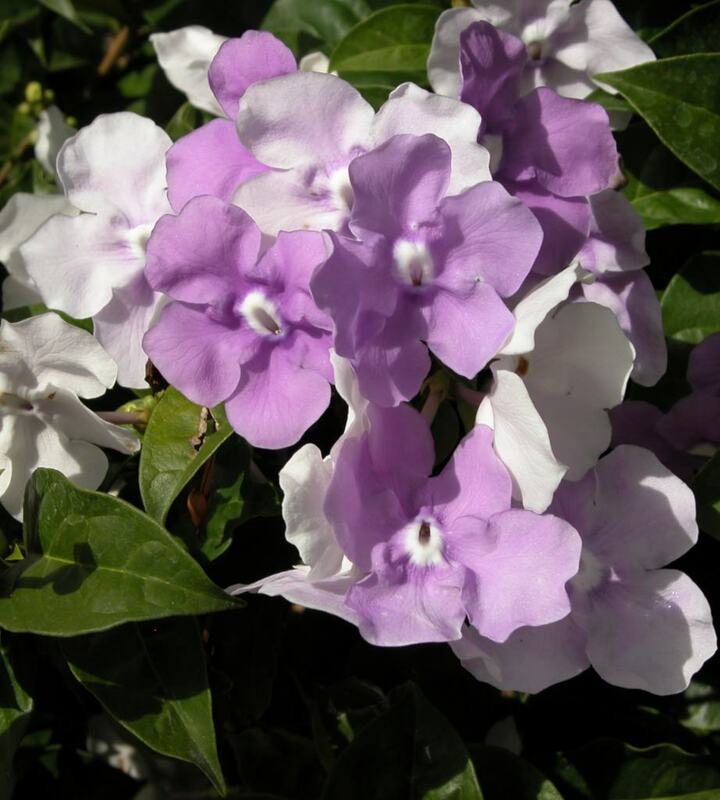 The ideal setting for your brunfelsia is in a pot that is rested on a bed of gravel. The gravel or clay pebbles are stacked in a water retention plate which is always filled with water, while the pot stays in the dry. This water around the clay marbles evaporates and gives the plant the moisture it requires. Your soil around the plant is probably too chalky. Provide heath or liquid iron sulfate as a remedy for this. Aphids can be quite devastating and their leaves turn sticky and gooey. Here is a link with advice against aphids. Red spider mites might be found hiding on the undersides of leaves and can also wreck havoc. Treat them with a mite-killer or special red spider mite spray. This very beautiful Latin American shrub owes its nickname to the changing colors of its flowers, which shift from violet or purple to blue to white in barely three days. 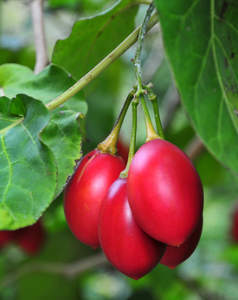 The genus comprises about thirty different species which are all native to tropical American and Antilles forests. The scientific name of the plant relates to a famous German botanist, Otto Brunfels. 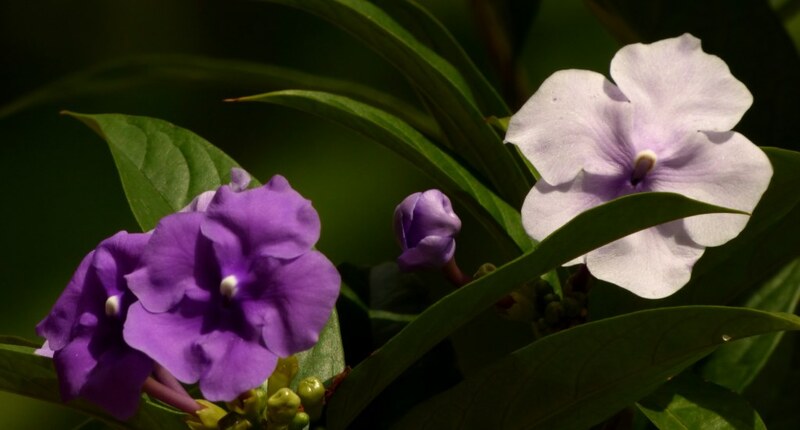 Every part of the Brunfelsia plant is poisonous, it must be handled with care. 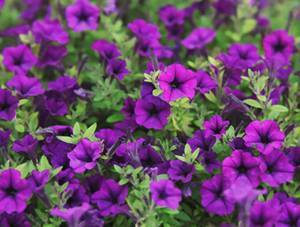 Adding organic fertilizer in spring will enhance its bloom.